So I’m very excited for AcadeCon, and the Kickstarter, as you may recall from my most recent post. I plan to run a number of games while I’m there and have some great ideas for all of them but I’m willing to bet some of you might have some better ones so I’m going to ask you to pitch me your best concept for a Savage Worlds: Deadlands and/or 5th Edition D&D (bonus points if you use the Eberron setting!). The pitch can be as brief or as lengthy as you wish it to be (though I’ll admit the more creative you get the more I’ll likely dig it) and I’m going to pick two winners. One for the best Deadlands pitch and one for the best 5th Edition pitch. The winners will be receiving some source books. 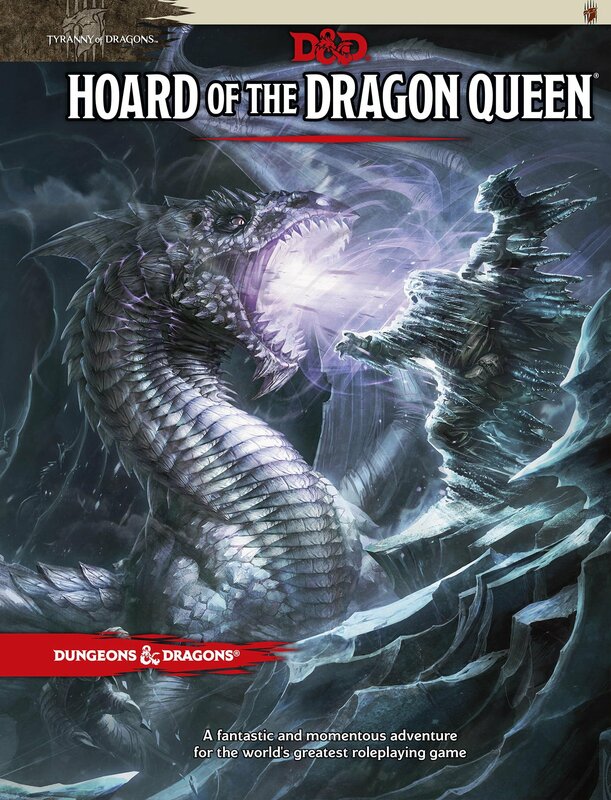 The winner for the best 5th Edition D&D pitch will receive a copy of the adventure Hoard of the Dragon Queen. The winner for the best Savage Worlds Deadlands pitch will receive a copy of the Savage Worlds Explorer’s Edition signed and personalized for them by Shane Hensley himself! If I really like the pitches I’ll probably write those adventures up and they may feature at AcadeCon with your names mentioned as Co-Authors of course. After you win you are welcome to continue helping me polish your games if you can;t make it to AcadeCon, or if you can I will run the game for you. After AcadeCon I will feature the adventures on the site.So here’s how you enter. Send an email to melsmifcontest@gmail.com. In the subject line give me “YOUR NAME – ADVENTURE NAME/CONCEPT – SYSTEM” after that it’s all you, give me a sentence, paragraph, word doc, etc. put as much into it as you want! Like I said above, more effort will earn the best chances but hey, who knows you may line up the best couple of words I’ve ever seen so don’t let that discourage you ;)! Contest will run for two weeks and I’ll have the winners within another two weeks tops! Feel free to ask questions below or even share your ideas. Good luck folks!